Apnalaya Working Tirelessly to Empower and Afford the Disadvantaged Quality Life. An oft-seen situation: Underserved and unprivileged communities are almost ignored and left to fend on their own to get through each challenging day in their fight for existence and survival. Often unaware of their basic rights, they struggle to have a life with dignity, as access to education, health services, water, housing, electricity, food security, etc, remain distant to them. Apnalaya realised that for the society to realise sustainable progress, the underserved within the society should be brought out of the miry clay. Today, Apnalaya, one of the most transparent NGOs in India, is working in bringing about holistic development through various programmes to empower people living on the margin, overcome the many social and economic barriers they face. 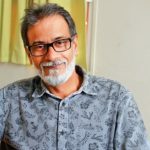 We had achat with Dr. Arun Kumar, CEO – Apnalaya, to know more about the work the NGO is doing in M/East Ward, Mumbai, as they seek to expand their work of enabling people to participate in their development. How did the genesis of Apnalaya come about? Give us a brief background of the founder and his vision of this project. The Holland Welfare Centre was founded in 1972 by Tom Holland, the then Australian Consul General in Bombay, to provide daycare for children of migrant parents living in the huts at Nariman Point, where land was being reclaimed and buildings constructed. By the time Tom Holland was posted out of India early in 1973, it was being run by a small group of volunteers led by Shanta Gupta as President, and was registered under the Societies Registration Act. It was renamed as Apnalaya (Our Space), in 1976. What is Apnalaya’s approach towards community building? We employ an integrated community development approach where we holistically work on mitigating the immediate and urgent needs and making people self-reliant in the long term. We increasingly realised that it is unlikely to bring about lasting improvement, say in nutrition, if other issues, like education or livelihood opportunities and gender-based discrimination affecting the family, remain unaddressed. Therefore, while the need to run essential services remained, our focus shifted to training community people to become self-reliant. Since 2014, our focus on enabling communities to avail its rightful entitlements has intensified through a structured, curriculum based citizenship programme. Give us an idea of the various centres operated by you. What are the various challenges faced by the people living within the perimeter of these centres. How did Apnalaya deal and overcome them? Apnalaya has always worked with the people living in underserved areas. We have sought to enable communities that have been bereft of basic amenities; amenities without which, a life with dignity is not feasible. In 1976, we acquired the Lotus Colony centre in the slums of Shivaji Nagar, Govandi. With a population of around three lakhs, Shivaji Nagar was very much bigger and a more challenging environment in which to work than our earlier communities. In 1977, we opened our centre in Wadaripada, Malad, with the aim of making schooling and healthcare accessible to this poor community. Yet another centre was in the Chikhuwadi area of M/East Ward, inside the BARC Complex in Mankhurd which began in 1981. It was here that the preliminary citizenship programme was initiated amidst abysmal educational levels among women and youth and favouring entitlements-based solutions to issues. We began focusing on getting children into school and preventing dropout with our programmes like preschool education, sponsorship for school-going children, and structured recreation. In 1977, we started a Workshop Training Programme to train Balwadi teachers not only for Apnalaya, but for NGOs allover Mumbai, which then became a flagship programme. We were also one of the first NGOs to train local women as community health workers to work in their communities. Today, our approach is two-pronged: provide essential services till they are made available by the government, and enable communities to negotiate the latter for a long-lasting change. 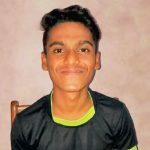 Sufiyaan and his sister Ruqaiyya, are part of the Kishore Panchayat–our Youth and Adolescent Community Action Group involved in identifying issues affecting the community and approaching local authorities to resolve them. The Group successfully took up the issue to ensure regular cleaning and garbage pickup from their area. 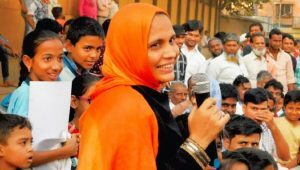 Their success encouraged their mother Nasreen Bano to become part of the Adult Volunteers group of Apnalaya. One issue the Adult Volunteers have taken up is to get legal water connections in the area. “We have to buy water, which is not even clean,” says Nasreen. Their latest achievement has been ensuring an increase of police patrols in their area to reduce rampant sexual harassment on girls. It took several trips to meet the local police, but their persistence paid off. “These are my people. I belong to this community. People after us must not face the same problems that we do,” says Najbunissa, the grandmother of the house. She talks to her neighbours and asks them to participate in the activities of the Community Action groups. She and her daughter-in-law encourage parents to continue with their children’s education, leading by example with their own children. “How does it matter if it is a boy or a girl? They should study hard. We want them to study as much as they can,” says Najbunissa. Najmusaher, originally from Darbhanga, Bihar, came to Govandi in 2005. She and her husband, a zari embroidered, have five children. One of them, Maviya (now 9), has speech and hearing impairment and was treated at Nair Hospital and Ali Yavar Jung, National Institute of Speech and Hearing Disabilities. 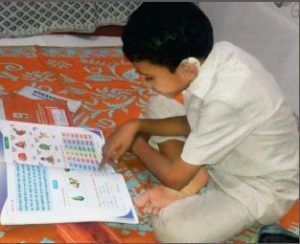 Apnalaya had initially provided hima hearing aid, and in 2014, supported his admission to the Rochiram Thadani Special School by providing him free educational materials, and covered school and travel costs. Najmusaher, on the other hand, became part of Apnalaya’s Svavlamban programme, an initiative to make women self reliant. Along with a group of 30 women at Shivaji Nagar, Govandi, she underwent a three month training programme in sewing and tailoring. She is now an expert in designing and sewing handbags, purses and apparel using natural fabrics like cotton and jute. Her earnings have helped her savepart of her income for Maviya and cater to the maintenance of his hearing aid. As for Maviya, his speech has improved after completing three years at the special school. He is now studying in a regular school. He has been promoted to a higher grade due to his excellent academic performance. He continues to be provided free educational materials by Apnalaya. How did you come to M/EastWard Mumbai? Paint us a picture of the situation in this part of Mumbai. Our work in the M/East Ward began in 1976 when we acquired the Lotus Colony centre in the slums of Shivaji Nagar, Govandi, along with our other centres. After the riots in 1992-93, our intervention became even more concerted. The area was earmarked by Municipal Corporation for people to be relocated from slums in other parts of the city. It is bound on three sides by the Deonar dumping ground; the peripheral land was gradually reclaimed and encroached upon by squatters and slum lords giving rise to a number of illegal settlements. Currently with a population of around six lakhs, Shivaji Nagar presents a much bigger and a more challenging environment to work than all our earlier communities. The social composition too is different from that of all previous interventions. Muslims make up around 82 percent of the population here. Infrastructure has been minimal from the start with insufficient schools and medical facilities, shortage of water and electric connections, and a complete lack of planning for commercial space, such as banks. The health programme has, under its umbrella, many interventions benefiting various sections within the society. How have these interventions translated into uplifting and transforming lives for the better? True, a health programme in M/East Ward needs a comprehensive outlook. The Human Development Report, 2009, pegs the average age of death in M/East Ward at 39 years! This is unbelievable in this day and age. Given the vastness of the challenge, therefore, we firmly believe that working with the government and enabling people to improve their health-seeking behaviour is the best way to improve health conditions of marginalised people. Accordingly, we work on strengthening existing health facilities and systems by collaborating with local, State and national government agencies and health workers. Through our Mission 24 initiative, we are advocating for a maternity hospital to be constructed within the next two years. Another major goal is capacity building of community youth and adult volunteers through training programmes on Malnutrition and Maternal, Neonatal and Child Health Nutrition. This is backed by technology-based social innovation solutions like smartphone apps, dashboards, digital tracking tools, etc. Our programme for Persons with Disability (PwD) is one of the few existing community-based disability management programmes in the country that is a shift away from providing simply institutional care/services. It helps us with prevention, early identification, and referral for appropriate education, health and livelihood opportunities. At present, through our various interventions, we impact approximately 5.3 lakh people in directly, with 52, 840 direct beneficiaries. Our impact to uplift the community has translated in improving health indicators in the 12 clusters where our work is most intense. Here our achievements include a staggering improvement in immunisations rates from 29 percent in 2014 to 73 percent in 2018. We have seen a noticeable decrease in infant mortality rate from 55 in 2014 to 38 in 2018 per 1000 live births, and underweight status from 59 percent in 2010 to 41 percent in 2018 respectively. Given the migrant status of the people, limited skill sets and generally high degree of deprivation in M/East Ward regarding livelihoods, how are you trying to change this? Share with us the various innovative approaches Apnalaya is undertaking in this area. 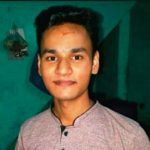 The issue of livelihoods being hazardous and unsustainable is consistent across slum communities, more so in Shivaji Nagar where one of the main economic activities is waste segregation in the adjoining Deonar dumping ground–exposing people, including children, to toxic chemicals and diseases. Our data reveals that every second person is unemployed; only 17 percent of the women in Shivaji Nagar have gainful employment, while 76 percent of married women do not work. The aspiration level of the youth is quite low even though they comprise a strong 66 percent of the population. Our livelihood programme is designed with these realities in mind while also focusing on the holistic development of an individual, particularly, women and youth. For women, we offer the option to run home-based crèches for community children. It provides a safe childcare solution to working parents; to the crèche owners, a source of livelihood, without having to leave the house–an issue that prevents many women from doing a job. The home-based crèches also allows girl children to stay in school, as often they are pulled out of school to take care of younger siblings. We also have a project called Svavlamban that engages women self-help groups to learn skills to make bags and clothes from natural fabrics. Through our Employability and Career Readiness programme, we impart a combination of vocational and soft skills training to youth, linking them to government and private recruiters and industries. We are currently looking for partners to support our local community women-led Eat Well initiative to address food insecurity in the area. Our impact in the area of livelihood is visible in the number of people, particularly women, who have started earning. In 2017, 18,823 persons received livelihood support and 423 women are earning. This is quite an improvement from 2016-17 when 600 persons received livelihood support and 323 women were earning. This year, we plan to support 1000 persons and ensure that 700 people are earning. Mumtaz and Faimida, a mother-daughter duo from the Rafi Nagar slum community, runs a crèche at their home looking after children from the age of six months to six years. They underwent training for crèche-related proper childcare, early childhood education and nutrition standards through Apnalaya’s Home-Based Crèche programme. They have also been given teaching aids and equipment to make sure the children are well engaged in activities through the day. 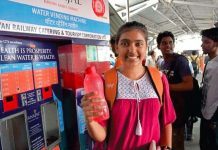 Mumtaz, who could not study after Class VII, understands the struggle to meet basic needs but firmly believes that future generations should be able to do bigger things. The crèche gives her and Faimida a means of livelihood and a way to support other women and children in the community. They have been successfully looking after five children in their crèche since 2017. 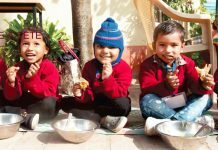 They enjoy playing with them, keeping them occupied through educational games and making sure they do not miss their parents while they are away. Could you elucidate about Community-based Management? What has been the outcome of this programme so far? The Community-based Management(CBM) or Samoohik Vikas Samitis (Development Collective) as we call it now, is a collaborative system that relies on community-government interface wherein a large mass of volunteers from the community work with government representatives to improve everyday life. It facilitates government reach and work in areas that have not received adequate attention or have not benefited from the financial robustness of Mumbai. We engage both young and adult persons from the community so that they can effectively steer change, deepen sustainable community development in partnership with local governance institutions. The outcome of the CBM’s success is visible in the four other locations in Mumbai from where we have successfully exited in the last decades. In 1998, as Apnalaya celebrated 25 years, we were well in to withdrawing from three of the communities where we had been working for most of that time–Jaiphalwadi and Datta Mandir in Tardeo, and Wadaripadda in Malad. All three communities were embarking on Slum Redevelopment Schemes and would eventually move into tall apartment blocks, with water and electricity, and a much better living environment. Chikuwadi community was also rehoused in new buildings, and some programmes were either closed or handed over to local groups to run. By 2001, withdrawal was mostly complete in all four communities. Give an account of your citizenship programme. What is the basis for you to develop such a programme? To address deprivation and marginalisation among the most underserved communities, there is an intense need to develop an informed, active and responsible citizenry. In Shivaji Nagar, only 13.7 percent females and 54.6 percent males are employed, mostly as casual labourers. Lack of civic amenities exacerbates the socio-economic challenges. We also found a general lack of information awareness and pro-activeness among community residents due to the lack of education facilities. 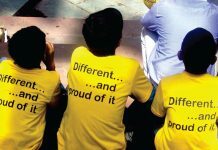 At its core, our Citizenship Programme is a uniquely designed experiential curriculum on life skills, constitutional rights and civic responsibilities for youth and adults. The aim is to develop a Samoohik Vikas Samitis with community volunteers who work with government representatives to (i) access basic amenities, entitlements and opportunities (ii) develop ownership and responsibility towards community resources, and, (iii) collaborate with civil society and government institutions. Our programme components include fellowships to youth for continuing education and forming school management committees (in BMCschools) to improve quality and delivery of school education. We also run a Community Resource and Advisory Centre (CRAC) in Shivaji Nagar which acts as a physical space for democratic exchange of ideas, promoting equality and capacity building of community volunteers. It functions as a tech-enabled information hub offering help in locating health, education, and livelihood schemes; municipal and government budgets, utilisation and gaps. We address issues of gender based violence and discrimination by deepening the understanding of boys and men. Our counselling centre offers psychological and legal counselling for survivors of domestic violence and sexual harassment. Through our sports for development programme – Khula Aasmaan, a total 276 girls have been trained in kabbadi and civic action, and are enabled to challenge gendered stereotypes. In 2017-18, our community volunteers have been able to bring legal water connections to 2330 families, inessence, providing access to potable water to more than 11,000 people. 222 families have received legal electricity connections, 300+ cooking gas connections and 200+ ration cards were procured. In Rafi Nagar, two BMC toilets were constructed. A signature campaign is underway demanding a secondary school in Shivaji Nagar. The overall impact is that a large mass is equipped with the knowledge of rights and responsibilities and is engaged with government authorities to influence tangible change – having a positive impact on their own aspirations and ambitions. What would you say are your achievements in the last four decades? We have exited from four communities after having made them self-reliant. We have developed citizen-based interventions, brought down infant and maternal mortality rates, malnutrition indicators in the most impoverished communities of Mumbai, and initiated a civil society government campaign (Mission 24) to bring basic amenities and infrastructure in M/East Ward. Hearing the transformation stories of our beneficiaries is such a joy as this translates to their deep longing for a better living standard for themselves and their families. It just goes on to show that there is nothing impossible when agencies like us, the government and people, doggedly unite and determine to improve and transform communities for the better. What are Apnalaya’s plans for the next decade? We are taking sustainable community development through citizenship programme to ten new geographies in India, in partnership with other NGOs. We are also planning to make the citizenship programme virtually available. We want to intensify evidence-based research to support sustainable development of the urban poor and also initiate and develop a pan India youth forum dedicated to citizenship issues.